Tis the SEASON!! The holidays are not over yet! Many parents assume that celebrating New Years is something reserved more the the adults, but I believe that our toddlers can celebrate this time of year with us as well. 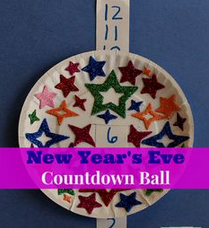 They may not be able to go out and celebrate on the town with us on New Years Eve, but their are certainly numerous News Years toddler crafts that will add a sweet element of fun to the holiday. The blessing of a family is huge for many people and that is one of the main reasons I created this site and also why I wanted to include these type of preschool craft ideas into the new year. Even for those of us who are traveling for the holidays (make sure you check out my review on a great back seat car organizer), these crafts can basically be done anywhere. 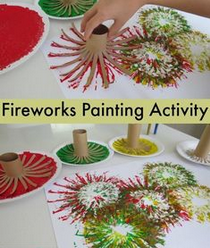 Each picture below has a corresponding Pinterest link to explain the process of the craft idea! This site is great for all ages, but I do have a toddler and a baby, so these ideas listed below are easy craft preschool craft ideas! Enjoy! Do you love these adorable ideas or what?!?? 🙂 Please let me know below and show me a photo of what you are doing for the Holidays! 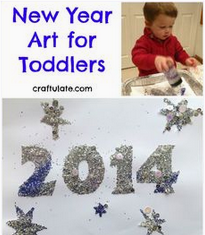 Here is a New Years toddler craft video that I LOVE! Check it out! ← Preschool Christmas Activities Toddlers will Love: Shape Match Tree!